Everyone needs something special to look forward to in the middle of winter, and the second annual WinterFest at The Resort at Paws Up wont disappoint. 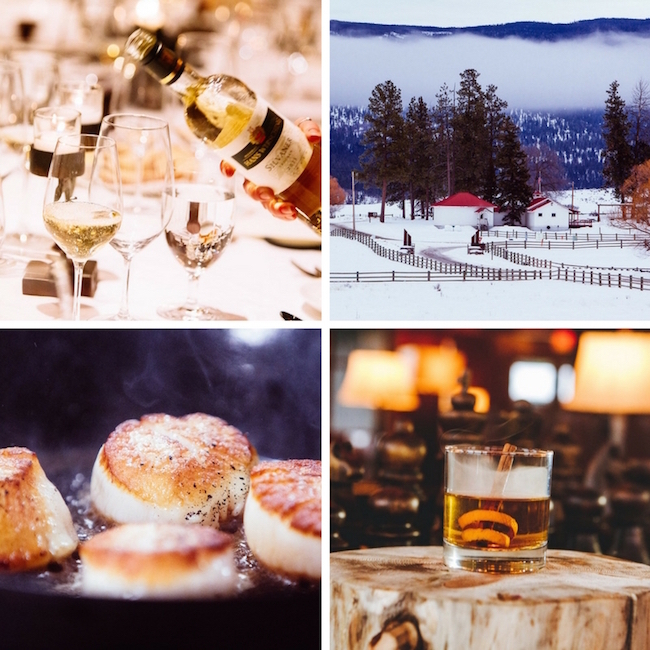 This gourmet weekend is taking place January 19-22, 2017 featuring outstanding guest chefs, wine pairings, a featured brewery, distillery, hand-on cooking classes and plenty of wilderness adventures. Paws Up Executive Chef Ben Jones will be joined by Chef Colby Garrelts and Chef Megan Garrelts from the Kansas City restaurants Bluestem and Rye as well as Top Chef Season 10 first runner-up and Paws Up favorite, Chef Brooke Williamson, co-owner/co-chef of Playa Provisions, The Triple and Hudson House. Kelly Liken, of Iron Chef America and Top Chef fame and a three-time James Beard Award nominee for Best Chef Southwest, will round out the talented cast of featured chefs. Master Sommelier Chuck Furuya will select hearty, blood-warming wines for the winter-themed meal. Saturday night festivities include a performance from Austin-based singer-songwriter Brian Pounds—of The Voice—with his soulful blend of Americana, country and rock. We got a preview of the schedule, but there is much more. How incredible does this sound? •Enjoy the evening under the famous big skies of Montana. Specialty cocktails served from our custom Ice Bar, Ice Skating at rink or cozy up next to the fire. 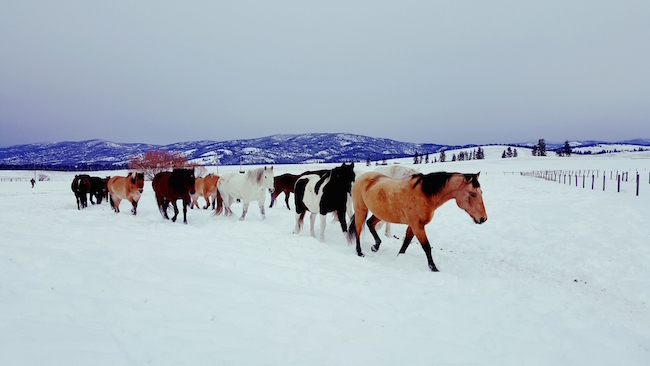 •Guided Cross-Country Skiing, Horseback Trail Ride, Guided Snowshoeing Tour, Sporting Clays, Team Penning, Winter Triathlon, Guided Snowmobile Ride and Spa. •Join Paws Up’s Curling Club on the Paws Up Ice Rink for some hands on Curling instruction so you are set and ready to compete tonight. Test your skills and watch some local masters demonstrate this insanely fun Olympic sport. •WinterFest four-course collaborative finale dinner featuring all Winterfest Guest Chefs & Chef Ben Jones with wine pairings by Master Sommelier Chuck Furuya. Live Entertainment with Brian Pounds as seen on the Voice. •Cocktail hour at Paws Up Ice Bar. 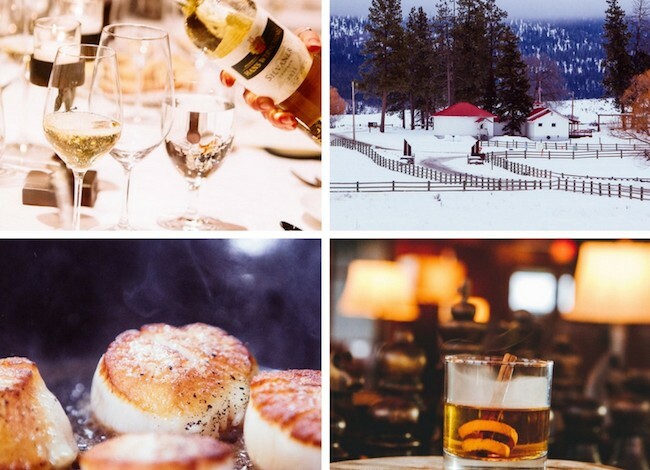 Enjoy special Winterfest inspired cocktails, featured wine and local micro brews. Call now for reservations at 866-929-3108 or go to Paws Up. Mention Healthy Travel when you book for a big surprise!